BAHRAIN’S young stars enjoyed a golden moment despite thinking they would miss out on glory because extra time played meant they had to rush to the airport to avoid missing the flight back home. 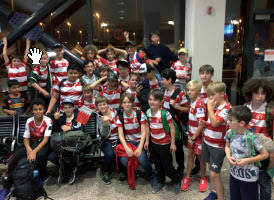 A combined U9/U10 team enjoyed an unbeaten path to the final of the HSBC Dubai Junior Rugby Tournament and faced Dubai Tigers who they had already beaten during the pool matches. The concluding game was a much tighter affair and at full time the score was 7-7. 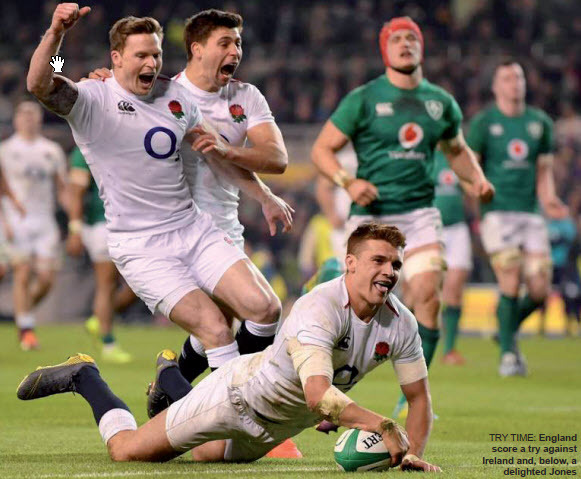 Extra time was played but neither side could score and even with a five-minute ‘golden try’ face-off no one could muster any more points on the scoreboard. Unfortunately, Bahrain had to forfeit the game due to check-in time fast approaching. The travelling party made it to the airport by the skin of their teeth. On paper, the trophy went to the Dubai Tigers. The players and supporting parents alike were naturally disappointed but they left feeling like champions as the organisers ensured the players were awarded gold medals too! The club’s Under 11 and Under 12 groups also participated as a combined Under 12 team at the festival. They destroyed Abu Dhabi Quins 14-5, beat Dubai Tigers 5-12 and were also victorious against old rivals Muscat Pirates 17-7 before coming unstuck against GEMS Silicon Oasis School 10-7. They met them again in the group final narrowly going down 15-12 at the final whistle.